The University of New Brunswick Art Centre at UNB Fredericton is pleased to welcome two distinguished New Brunswick artists to exhibit their work this fall. Kim Vose Jones and Ann Manuel will display two new installations that focus on the human experiences of anxiety and worry. In the East Gallery, Fredericton-based sculptor and installation artist Kim Vose Jones will create a multimedia installation entitled Sensorium. Video projection and sound will overlay sculptural representations of a fragile home in a stark landscape, mingled in continuous immersive flux between states of anxiety and calm. Inspired by the prolonged confinement of Ashley Smith and a meditation on imprisonment in general, this exhibition deals with the tensions inherent between shelter and confinement, absence and presence, protection and abandonment. Ann Manuel’s exhibition, The Worry Ladders, will be composed of five ladders, each nine feet tall, created using materials from New Brunswick’s forests. Drawing on our conception of the ladder of success, this installation represents five worries, which reflect the artist’s understanding of environmental, economic, and political issues related to the sustainability and stewardship of our forests. 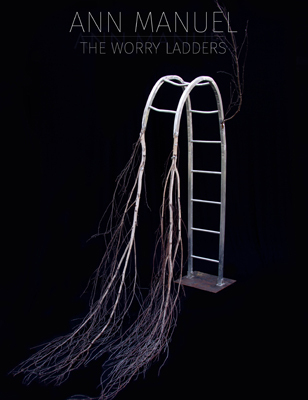 The Worry Ladders will be on display in the West Gallery at Memorial Hall. Both Ms. Vose Jones and Ms. Manuel are accomplished professional artists. Ms. Vose Jones has exhibited her work internationally and holds an MFA in Studio Arts from the Maine College of Art. Ms. Manuel has exhibited throughout the Atlantic region as well as across Canada, and internationally, in Thailand and France. Ms. Manuel received her Master of Arts in Visual Art Education from the University of British Columbia. Sensorium and The Worry Ladders will be on display until October 30, 2015. The UNB Art Centre is located at UNB Fredericton’s Memorial Hall, 9 Bailey Drive. The galleries are open 9 a.m. - 4 p.m. weekdays and for special events. Admission is free to members of the public. Everyone is welcome!